This experience is something very special for any Australian motorsport fan. 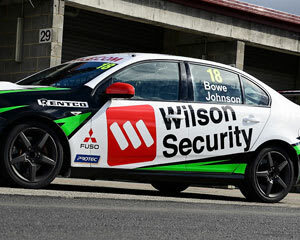 Not only do you get to drive a V8 Race Car, you then get hot laps with John Bowe, V8 Supercar, Bathurst 1000 and 12 Hour champion. We're thrilled to be able to offer a limited number of clients this rare opportunity to meet and then be driven flat out by “JB”, a living legend and great guy. On arrival you will sign on and be kitted up into your race attire, have your photo taken in our professional photo garage and when ready, have your helmet fitted and be strapped in for a full tilt drive and ride experience that will give you a lasting impression to remember!